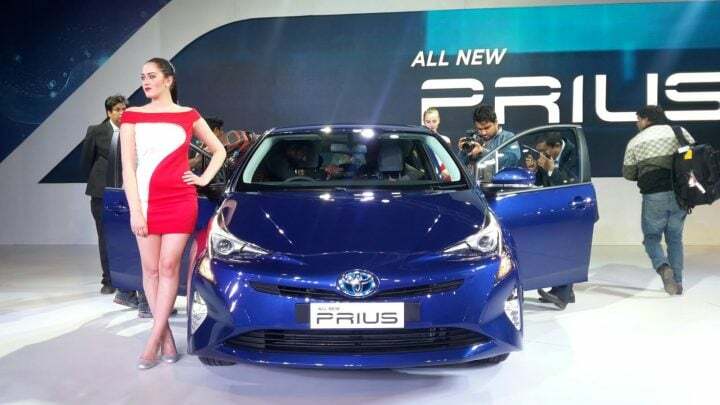 The latest generation Toyota Prius has been launched in India. In its fourth generation now, the Prius is easily one of the most recognisable badges among the Hybrids of today. Like the previous generation model that was sold here until recently, the new one also comes to us via the CBU route. Which means it is not eligible for benefits under the FAME scheme resulting in a high price tag. The new Toyota Prius costs Rs. 38.96 lakh ex-showroom Delhi. 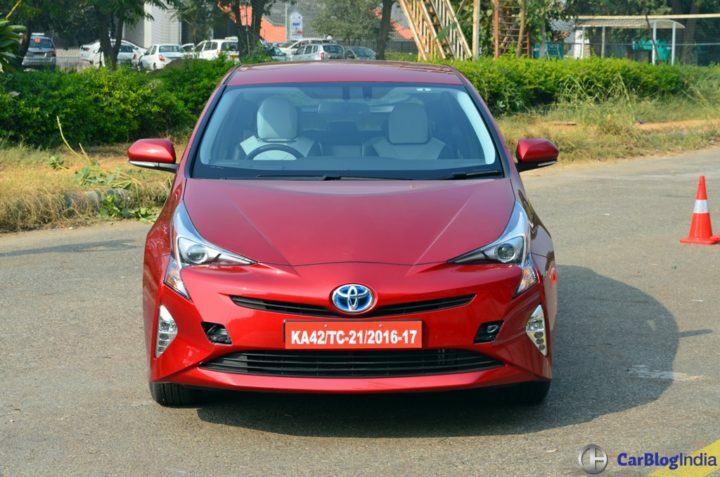 Read on to know more about the new Toyota Prius India price and other details. 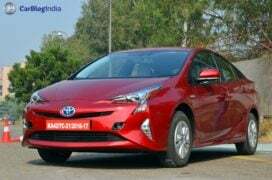 The previous generation Prius was on sale in India starting at around Rs. 37 lakh. The new one is slightly more expensive. The new Prius is available in only one trim that costs Rs. 38.96 (ex-showroom Delhi). 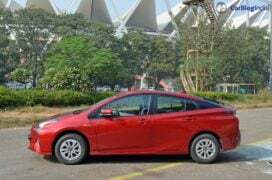 In international markets, the Prius costs almost the same as the Toyota Camry Hybrid. However, since it is imported to India as a completely built unit or CBU, it attracts massive import duties. Also, cars not made in India are not eligible for any benefits under the FAME Scheme. Speaking on the occasion, Mr. Akito Tachibana, Managing Director, Toyota Kirloskar Motor said, “India being a crucial market for us, we believe there is more to the market beyond just the numbers. We have taken good stock of our priorities for the road ahead and we do not want to make just more vehicles but also want to address other critical issues associated with energy, environment and safety. With an aim to contribute to resolution of social issues and sustainable growth of an automobile based society, we believe that environment-friendly vehicles will go a long way to remedy this. And Implementation of environmental measures is one of the most important management goals of Toyota worldwide. It is based on the same principle that Toyota today has more than 10 million happy customers driving Toyota hybrids and we would like to thank our customers who have encouraged our efforts of hybridisation. 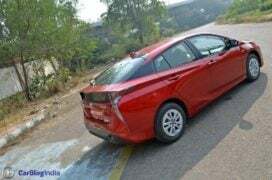 We are actively working to promote strong hybrid technology and other environment friendly vehicles based on our stance that environment friendly vehicles can have a positive impact on the environment only if they are used widely”. It features a petrol plus electric motor combination that puts out a combined maximum power of 122 PS. The on board computer switches between electric and hybrid power in order to extract maximum fuel efficiency. 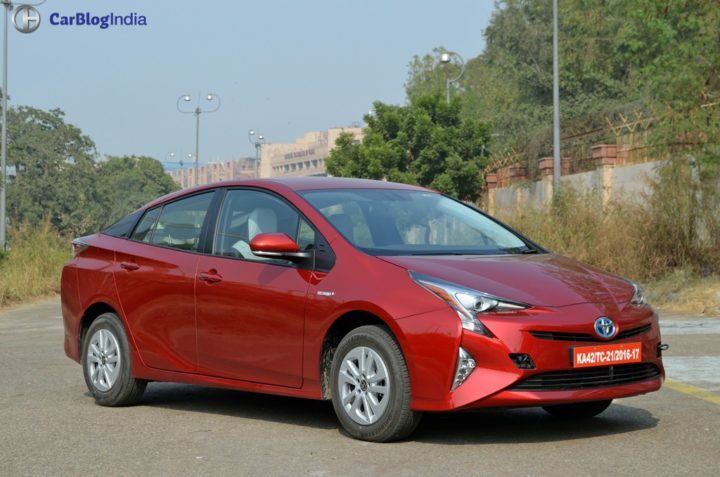 According to official figures, the new Prius returns 26.27 KMPL overall. In real world conditions, the car should easily achieve fuel efficiency figures of 22-24 KMPL. There are interesting design elements all around. The nose features a funky set of headlamps, complete with Bi-Beam LED units. 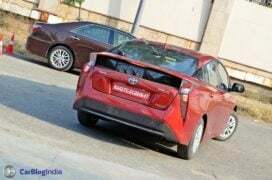 Designers have given the 2016 Toyota Prius a very interesting tail. While the rear end looks futuristic, it doesn’t gel well with the rest of the car. The rear sort of juts out and lends the car a very tail heavy appearance. The overall design of the Prius makes sure it stands out from the crowd and its pricing will guarantee exclusivity. The futuristic design theme continues inside as well. 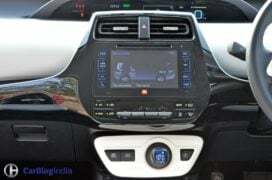 There’s a very funky gear selector mounted just below the touchscreen for the infotainment system and reverse parking camera. Placed right above is a centrally located instrument console that displays all the essential bits along with graphics detailing what mode the car is on. 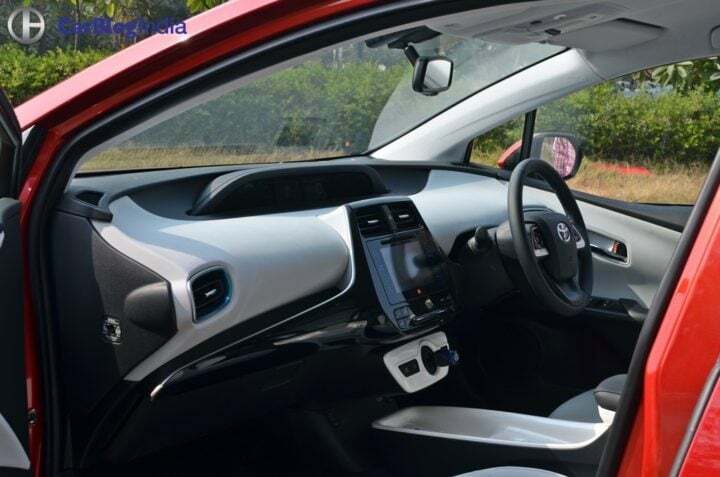 The cabin of the Toyota Prius gets a black and white colour scheme. While it does look good, the white will be prone to stains in the dusty environs of our country. The car has sufficient space for 4-5 and their luggage. Powering the upcoming Prius is a 1.8 L petrol motor, which works in conjunction with a 53 kW electric motor. This combination produces a maximum power of 122 PS. Transmission duties are handled by an E-CVT. The Prius offers an all electric range around 30 km. 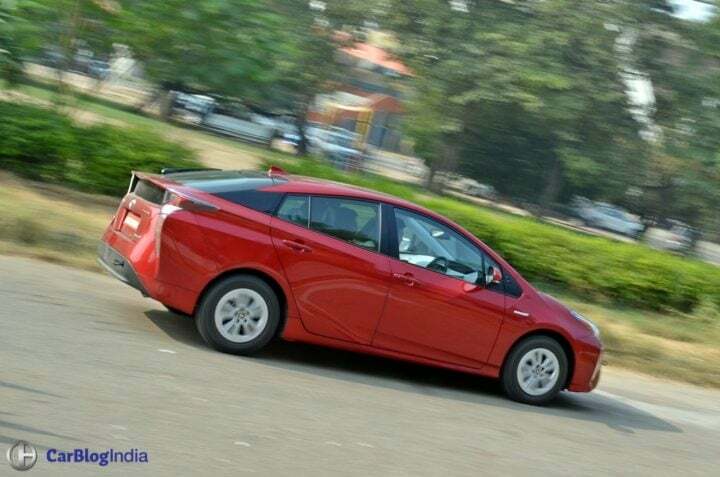 In Indian conditions, the Prius Hybrid should return around 25 KMPL overall. 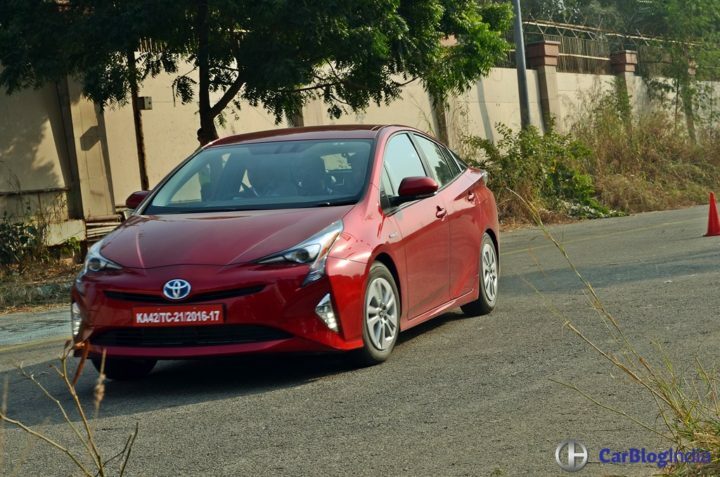 The Prius becomes Toyota’s second car in India to offer a hybrid powertrain after the Camry. 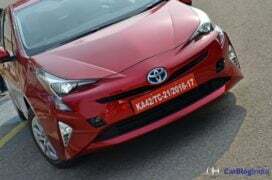 Stay tuned to Car Blog India for more on the upcoming new Toyota Prius India launch. Follow us for the latest car and bike review from the Indian auto world.